La Rei is located in the Boscareto, one of Piedmont’s few full-service, luxury hotels. Il Boscareto and its design continues to sharply divide fans and foes, but it’s hard to argue with the stunning views from within the property. Cascina Francia on one side, Ginestra straight ahead and Bruno Giacosa’s Falletto on the right. Not bad. 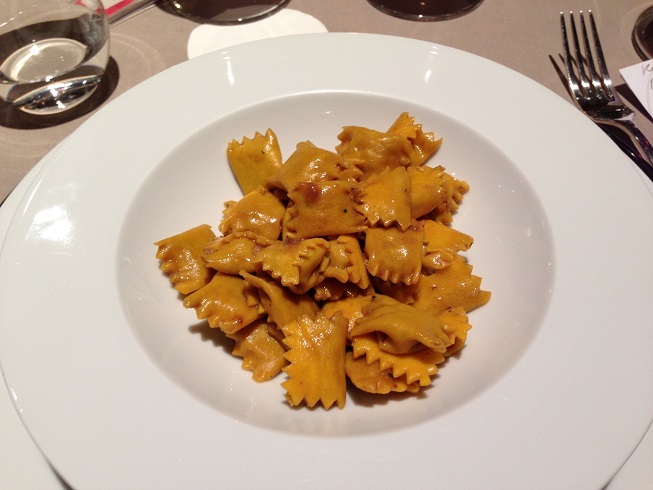 La Rei, Il Boscareto’s luxury restaurant, is another highlight. Gianpiero Vivalda, owner of the famous Da Renzo in Cervere, consults on a menu that offers both the classics as well as a handful of more adventurous dishes. This small, intimate dinner was a great opportunity to catch up with old friends. Many years ago, I met Il Professore, a collector who wishes to remain anonymous and who also happens to be the world’s greatest expert on the traditionally made wines of Piedmont. I have drunk and purchased many wines from Il Professore’s cellar over the years, and it is these bottles – perfect, impeccably stored examples of the classics – that have taught me so much about Barolo and Barbaresco. Spending time with Il Professore is always a treat. 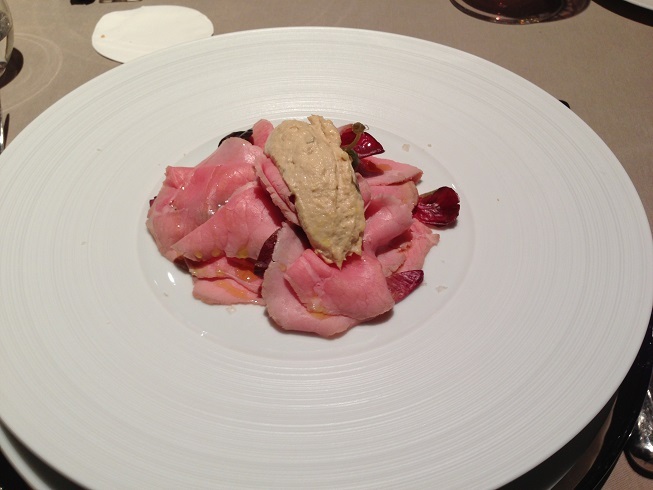 In keeping with a theme of traditionally made Barolos and Barbarescos, I went for the classics; vitello tonnato, agnolotti del plin and capretto (baby goat). How can you go wrong? Well, you can’t. Our food was terrific and the service was top-notch. But on this night, the focus was more on wine, and what wines they were! Although all of these bottles came from our cellars, Il Boscareto has a terrific list. On a previous visit, I enjoyed a bottle of Le Piane’s 2006 Boca, which was priced absurdly low for a restaurant of this level. One of the things I love most about wine is that there is always something new to learn. I had never tasted the 1975 Rosso dai Vigneti di Brunello, the first wine from Gianfranco Soldera’s Case Basse property in Montalcino. At nearly 40 years of age, it was still going strong, with no signs of fading, something made all the more remarkable considering 1975 was a scorching hot vintage in Montalcino. On this night, the 1975 Rosso shows amazing depth and density. 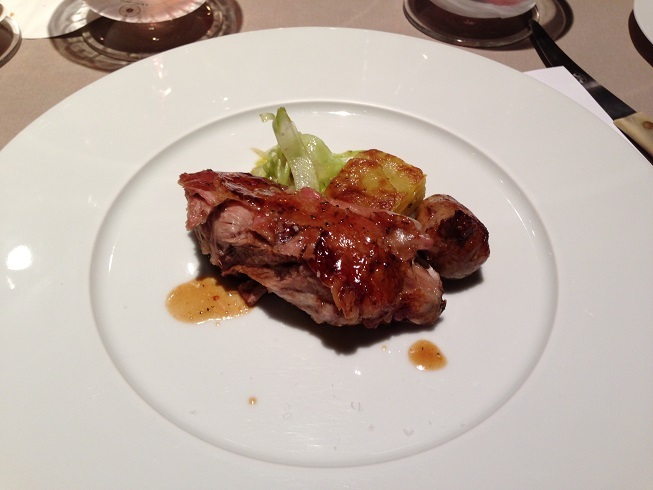 Served in the middle of a group of Barolos and Barbarescos it more than held its own. Another rarity, Aldo Canale’s 1971 Barolo Vigna Riunda was both compelling and frustrating. The bouquet alone was captivating. Classic Vigna Riunda (note the spelling) in every way, but sadly rustic at the same time. The site is so great, it nearly compensated for those flaws. The 1971 was fully mature, but still intellectually fascinating. Aldo Canale owned what was historically considered the best part of Vigna Rionda. Canale sold half his fruit to Bruno Giacosa - who crafted many legendary wines from those grapes - and vinified the rest. Aldo Canale’s son, Tommaso, passed away recently, and left the property to his heirs Davide Rosso, Guido Porro and Sergio Germano. Riccardo Fenocchio's 1989 Barolo Pianpolvere Soprano could have been an extraordinary, life-changing wine, but it was marred by dirty barrels. Still, the color, depth and freshness were all remarkable. After Fenocchio’s suicide in 1995, Bruno Giacosa tried unsuccessfully to purchase Pianpolvere, which he described to me many times as the single greatest site in Barolo. I can only imagine what a Giacosa Pianpolvere Soprano Barolo might have been like. Valentino Migliorini ended up with the winning bid and the vineyard. From a cold, rainy vintage, Rinaldi’s 1987 Barolo was fully mature, yet it had gorgeous sweetness and lovely complexity. Although I found the 1987 a bit too mature for my tastes, a few of my friends found more pleasure in the wine. The 1987 was made from a blend of vineyards during a period when Rinaldi bottled only a straight Barolo and a Brunate Riserva. 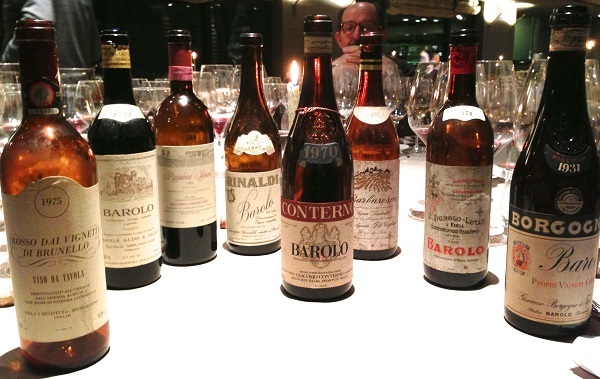 Giacomo Conterno’s 1970 Barolo was the undisputed wine of the night. It showed great intensity of color, flavor and structure, all hallmarks of this overlooked Piedmont vintage. The 1970 was made from vineyards in Monforte before the family purchased Cascina Francia in Serralunga. Renato Cigliuti’s 1978 Barbaresco Serraboella was a revelation. It was made during the estate’s early days, when winemaking was traditional. Still deeply hued, but translucent, the 1978 was super-impressive, vibrant and just plain beautiful. It is so great to see this benchmark property going back to making wines in this style. This was another of my favorites. What a bottle! Although fully mature, the 1971 Vignolo-Lutati Barolo is another wine that stood out for its textural silkiness and polish. Sadly, I never tasted this wine when it was young, but it was probably pretty special. From what I have been able to gather, the then-owners of the estate, the Viglione family, made this wine from Vigna del Mandorlo, a parcel within the Scarrone vineyard that currently belongs to Fratelli Giacosa. What can I say about Borgogno’s 1931 Barolo Canubbi? At 82 years of age, Borgogno's 1931 Barolo Canubbi (note the spelling) was drop-dead gorgeous. A timeless wine. With their 2008 vintage, Borgogno is releasing what they tell me is their first single-vineyard Barolo from Cannubi. Well, not exactly. Incidentally, Il Professore told me there are Borgogno bottles of ‘Barbaresco Canubbi’ from the 1940s still floating around! Such was the fame of the Canubbi vineyard that apparently the name was used quite liberally back then.